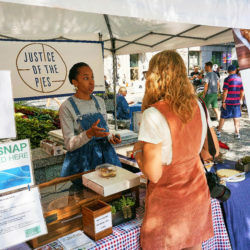 Justice of the Pies is the early-stage Chicago company created by Maya-Camille Broussard. 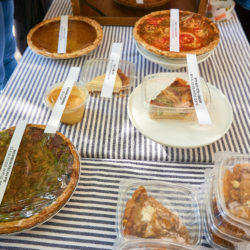 Broussard’s specialty is baking exquisite sweet and savory pies. But the “Justice” part of the name is as important to Broussard, who dedicates her business to her late father, a criminal-defense attorney and avid baker. We are proud to present the finale of our three-part series of food and farm entrepreneur stories that underscore the impact you can have by making a tax-deductible donation to FamilyFarmed. Today, we feature our Farmer Training program, built around our Wholesale Success and Direct Market Success manuals, that has provided workshops for more than 13,700 farmers in 43 states on best practices in farm operations, handling, food safety, and marketing. 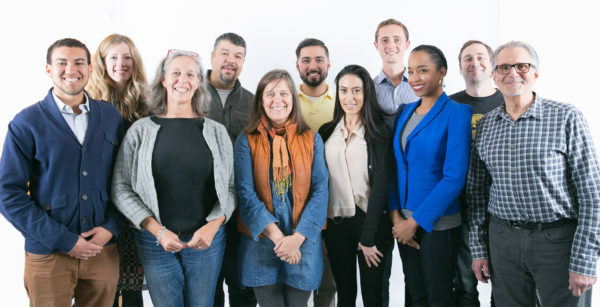 FamilyFarmed’s Annual Giving Campaign is under way, and to highlight the work we do to build a better food system, we are running a series of profiles of great businesses that have participated in our programs. 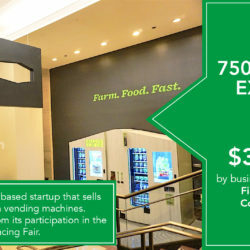 Today we look at FamilyFarmed’s Good Food EXPO and Good Food Financing & Innovation Conference through the eyes of Luke Saunders of Farmer’s Fridge, the Chicago company whose fresh salad vending machines are changing the way eaters view self-service food options. 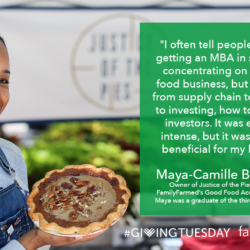 FamilyFarmed’s annual Giving campaign is under way, and to highlight the work we do to build a better food system, we are running a series of profiles of great businesses that have participated in our programs. 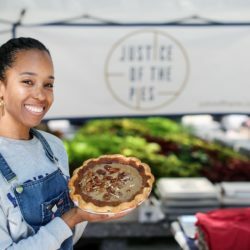 Today we look at FamilyFarmed’s Good Food Accelerator through the eyes of Maya-Camille Broussard of Justice of the Pies, who graduated in April in the program’s 3rd cohort of entrepreneur Fellows. FamilyFarmed invites rising food entrepreneurs to apply for a Fellowship in our Good Food Accelerator (GFA). 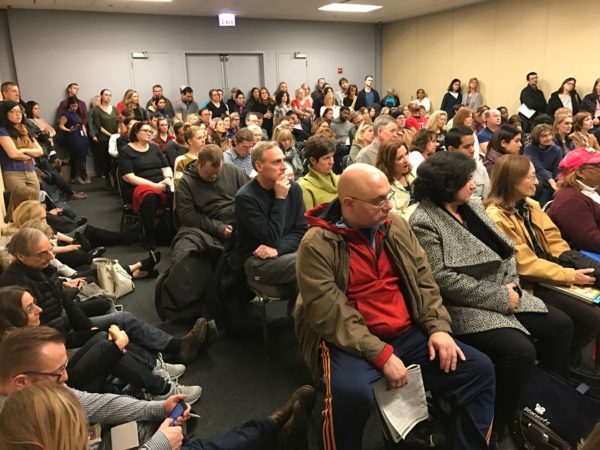 The application period begins today (Aug. 14), and we will have scheduled a GFA Application Celebration and Networking Event on the evening of Tuesday, Sept. 5 at 1871 in the Merchandise Mart. Nine competitively selected Fellows are participating in the third year of FamilyFarmed’s Good Food Business Accelerator, and they represent a wide range of exciting entrepreneurial ventures: from unique pies and clean meals to tea-infused energy bites and indigenous wild rice cereal, and from locally sourced juices and sparkling fruit tonics to pickled produce and sippable soups.